The CRC1150S cone plant delivers big capacity features in an economical highly portable plant. 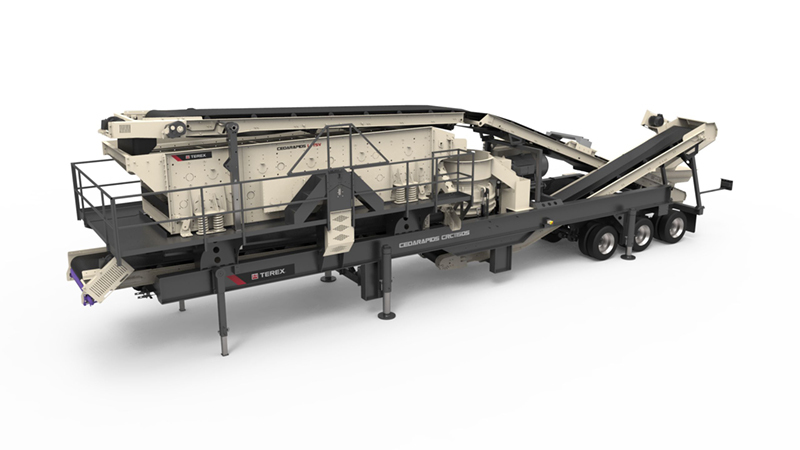 The highly mobile plant combines a modern TC1150 300 HP Cone crusher with the highly efficient LJ-TSV 6×20 3 deck screen. This New 300 HP cone utilizes high efficiency roller bearings and boasts several notable advancements that enhance performance and functionality. 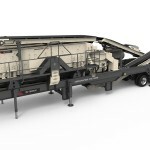 New key features include automated cone controls and larger closed side settings and is rubber isolation mounted on a heavy duty chassis frame. The LJ-TSV 6 x 20 3 deck screen, known for its efficient, high g-force El-Jay® oval stroke motion handles heavy deck loads. The new design also features more steel in the “rock zone” for industry leading durability. The screen can be positioned at 0° or 2.5° to best fit the application. Patented deck deflector plate option increases capacity an additional 10%.